Nicholas Ansell’s teaching and research focus on several areas of systematic and biblical theology, notably Christology, eschatology, Old Testament wisdom thinking, and the theology of gender. He has an ongoing interest in the phenomenology of revelation and the spirituality of existence. 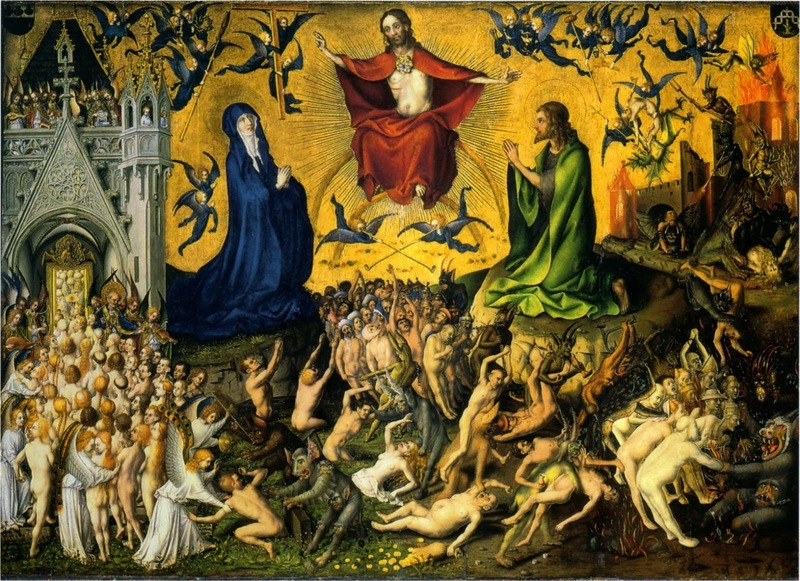 His new book, The Annihilation of Hell: Universal Salvation and the Redemption of Time in the Eschatology of Jürgen Moltmann, was released in North America in October 2013 and exposits the work of Moltmann on the topic of hell and universalism for anyone who is interested in theology, scholar or otherwise. He has also written several articles on hell and hope including this one in The Other Journal. The following is an excerpt of an interview conducted by Matthew E. Johnson on January 22, 2014 in Toronto, Ontario. For more, see the full version here in the open-access Institutional Repository at the Institute for Christian Studies. GM: Dr. Ansell, thanks so much for making time to talk with me. I’m very excited about your new book The Annihilation of Hell, and I’d love to hear some background and a bit of “behind the scenes” about this book. I understand that one of the ways you have been influenced by Jürgen Moltmann is in what you call the “judgment unto salvation” theme that runs throughout the Bible. Can you say a bit about this theme in your work and in Moltmann’s? NA: The “judgment unto salvation” theme is a point where I really connect with Moltmann. There’s a lot in Moltmann that I really like and there’s also a fair amount that I disagree with but still find thought provoking. But this theme is something that is straightforwardly insightful. It’s the idea that God’s judgment is not about damnation or punishment—it’s not about making a division between those who are in and those who are out. God’s judgment is always about putting things right, and it’s always in the service of life, opening life up again where life has been closed down. We often think of God’s judgment coming as something to be afraid of, but Moltmann argues that in scripture, for those who are the people of God, the idea of God’s judgment coming always creates hope and is something to be celebrated, prayed for, and so forth. The tower of Babel narrative in Genesis 11, which tells of the breaking down of what seems to be the first Babylonian Empire with its attempt to impose a single language or a metanarrative upon its subjects, is a good example of judgment unto salvation. The empire emerges because people are afraid to spread out over the face of the earth, even though the fundamental blessing and calling to humanity is to fill the earth with God’s presence and to fill the earth in a geographic sense. But there’s this fear, and fear is the opposite of faith. So the people congregate, trying to stay put, and an empire of some kind emerges out of this. Then there is the judgment and the scattering, and it’s not simply God saying that there’s something idolatrous about building the tower and that it needs to come to an end or that this is simply a manifestation of God’s wrath. The scattering actually opens up the movement of history again, so that the people end up spreading out over the earth, which is actually rooted in the blessing of Genesis 1:26-28. The purpose of the judgment is to get people back on track with the dynamic of life—it’s giving them something positive. So the judgment is unto salvation. That is, the judgment serves something that is more than judgment; it serves life. I think that if you look at God’s judgment in general in scripture in the light of that pattern, it’s very illuminating. GM: Based on your own research and Moltmann’s thought, what is the biblical basis for rethinking the doctrine of hell? NA: There are something like 14 “hell texts” that mention hell specifically in the New Testament, depending on which translation you use. Of those, about 11 refer to hell in a way that’s connected to judgment for human beings. They’re all found in the Gospels, and they’re all found on the lips of Jesus himself. In these cases, the word is “Gehenna,” which is translated as hell, but I think it probably should be left as the word “Gehenna.” Of these 11, there are 7 references in Matthew, and then 3 all together in one verse in Mark, and there is one reference in Luke. Moltmann says that, in terms of biblical material about final judgment, there are a certain number of texts that do not have a “double outcome” to them (that is, do not imply judgment or salvation) and will instead maybe imply universal salvation or something like that. Nevertheless there are a certain number of texts in which there is this division. In these, some will end up in hell, and some will not. Moltmann tends to simply play down the texts that have the division and emphasizes what he thinks is the stronger theme of judgment leading to salvation as being the most biblical approach. The problem is that all the counter examples that he wants to play down are attributed to Jesus, and Moltmann is a Christocentric theologian who always wants to focus in terms of the way Jesus discloses God to us. So this is a real problem for him, and he doesn’t resolve it to my satisfaction. My book works this out more exegetically and comes up with a different approach. I hope this is a contribution that my book could make, in addition to its interpretation of Moltmann’s thinking. So my argument in a nutshell is that “Gehenna,” the word that is translated as “hell” goes back to the Old Testament, referring to the valley of Ben-Hinnom. It is a geographical territory owned by a certain group of Israelites that includes a valley located just outside of Jerusalem. At a certain point in Israel’s history during the monarchy, it gets associated with idolatry and with passing young children “through the fire” and with certain idolatrous kings. So, in response, the valley of Gehenna becomes the place of God’s judgment. In Isaiah, we see it as a place of God’s judgment, and here, it is a historical judgment, a judgment in history. It is the location of where God’s judgment will occur. 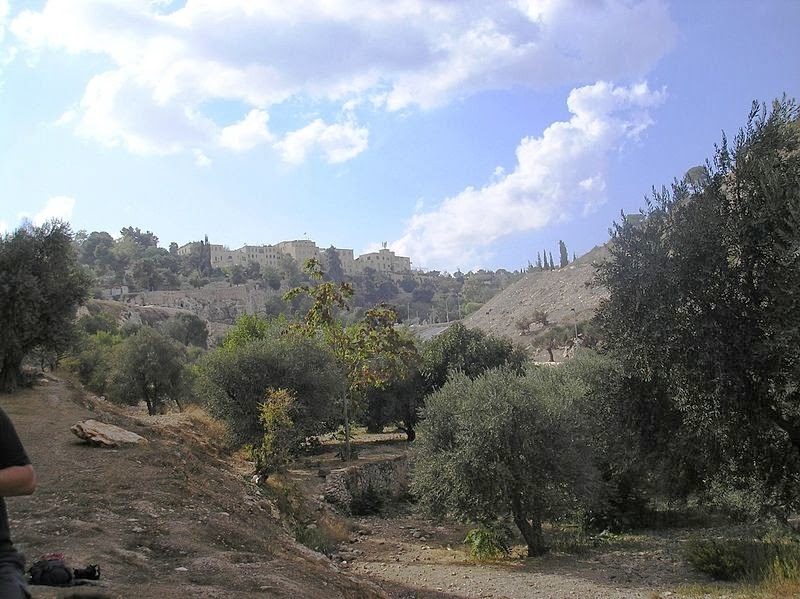 Looking at the very last verse of Isaiah in particular, Gehenna is a place where Israel’s enemies will be judged. What happens in Jeremiah, though, is the judgment has been turned back on Israel, on Judah. So the place where some Israelites would be hoping the Gentiles would get judged becomes the place where Judah will be judged. Jesus stands in the tradition of Jeremiah. Matthew’s Gospel is steeped in all kinds of allusions to the book of Jeremiah. This makes sense of why so many of the references to Gehenna show up in Matthew’s gospel in particular. So in Matthew, Jesus is saying something to his fellow Jews that is very similar to Jeremiah: although many are hoping for judgment to come down on the Romans, actually there is a judgment coming that will impact Jerusalem and the temple. In the Jewish War of 66-70 AD, which involved the generation after Jesus that he prophesied about in Matthew 24, the Romans razed the temple and Jerusalem. During this war, a huge number of dead bodies ended up quite literally in the Gehenna valley. So “hell” or “Gehenna” is about a judgment in history, but it also marks a transition point between the old age and the new age. It’s an apocalyptic transition as well, and the book of Revelation picks up on that. The apocalyptic material in the gospels such as Mark 13 also focus on judgment as a transition point. Hence the “birth pangs” imagery in Mark 13:8 (and Revelation 12 also). This exegetical approach gives a different understanding of the “hell” texts. It means that you can connect them much better to a judgment unto salvation understanding. The texts that Moltmann has problems with and has to sideline even though they come from Jesus, can actually be connected in a positive way to the kind of eschatology that he’s looking for. GM: How is the judgment unto salvation theme and the way you reframe the “hell texts” related to universalism? NA: Well, Moltmann is a universalist. Universalism is the belief that all people will ultimately be saved, which to some people is very controversial. However, the idea of hoping that all people will be saved is often seen by many Christians as a perfectly valid thing to hope for, in fact it’s a very Christian thing to hope for. Many people will say that you can really hope for this, but being dogmatic about it such that universal salvation is just what God has to do or something like that is another matter. But to be hopeful about it, that’s fine. There’s no reason why we should be suspicious if Christians have that kind of hope, far from it. What Moltmann says is that the thing about biblical hope is that it’s not just wishful thinking for something you would really like. If you experience real hope, what comes with it is a confidence about what God has promised and that God will fulfill his promises. So it’s not that you’re dogmatic about it, but there is the confidence of faith. If it’s okay for the Christian to hope that all might be saved, even if you don’t understand how that might eventually happen, then let’s not have that hope as just a kind of wishful thinking. Let’s explore it in terms of biblical hope. If God promises to bring this about, and there are biblical texts (such as 1 Corinthians 15:22) that do seem to suggest that, then it can be very deeply Christian position to trust those promises. We can talk about how it is that God might be able to bring this about, and then there are the theological issues of God’s freedom, human freedom, and so forth. But in a sense those are secondary. Yes, we can talk about the mechanics of it, so to speak, but if we think that the promise is there, why not trust it, put one’s hope in it, and then start to theologize and think out of that conviction. Then it’s not a conclusion that you come to at the end; it becomes more of a starting point. GM: As just a final question: as a Christian scholar, what role do you see scholarship playing in religious life and faith for the individual and the community? NA: I think scholarship done by Christians has an important role to play in life in general for the Christian community and for the wider culture as well. I think it has to start by listening. You have to tune in to the deep issues and questions of your own culture, and then see how you can respond. So it starts with listening. It also can’t be any kind of pontificating. Nobody is interested in theology that pontificates these days anyway. One of the concerns that people, not just scholars, have about hell and final judgment and so forth, is about justice. There is a hunger for justice. This would be the problem for someone if we dispensed completely with the final judgment. What do you say to the person who has suffered injustice? This is very much part of the book for me, and Moltmann is also very strong on this. He doesn’t want to do away with final judgment; he insists that there is a final judgment. But he actually says that the judgment is not final—it’s penultimate, because it has to serve what comes after the judgment. So if you write theology, you can connect with the hope in that. I think hope is something that resonates with everybody. Not all of us experience much hope, but I think we would like to. So if you talk in terms of hope, then you avoid the esoteric nature of much theology. I hate to write theology that is only of interest to theologians. I’d like to think that these are the topics that are addressed to all of us as human beings, struggling to find our way right now in history. So theologians and Christian scholars need to see themselves as in the same boat as everyone else. We’ve experienced this grace and this hope, so we have something we want to say. It is that hope and that faith that also helps us not just say stuff, but also listen and tune in well long before we start writing. First photo used from https://wipfandstock.com/store/The_Annihilation_of_Hell_Universal_Salvation_and_the_Redemption_of_Time_in_the_Eschatology_of_Jrgen_Moltmann; second photo by Deror avi, used from http://en.wikipedia.org/wiki/File:Valley_of_Hinom_PA180090.JPG; third photo public domain, used from http://www.wga.hu/frames-e.html?/html/a/angelico/index.html; fourth photo public domain, used from http://en.wikipedia.org/wiki/File:Stefan_Lochner_006.jpg. This was a joy to read. I always like to read/hear new perspectives on Biblical doctrine. My concern: universalism seems to ignore God's attributes of Justice and Wrath. Suddenly, Hell does not exist or ceases to exist? God no longer punishes sin? If Christ is the only way to God (John 14:6), then how will all people be saved during the final judgement? Because there will be people who have not affirmed Christ as Lord and Savior, those who do no believe. Christ's death on the Cross atoned for our sins; allowing us to reconcile with God. Atonement does not equate to salvation. Yet, Mr. Ansell seems affirm the atonement = salvation position based on this post. I think Scripture is very clear on what Hell is and why people are sent there. I agree with Mr. Ansell that Christians can and should hope for all people's salvation. However, that does not mean it will actually come about. Scripture gives no indication in Revelation that Hell is destroyed when the new heaven and earth are made.This reinterpretation seems dangerous to me because it doesn't coincide with the rest of Scripture. Though, I would need to read his book to form a more educated opinion. Either way, thanks for posting this Matt. Thanks very much for your comments! You raise a host of important questions. It might help to click on the "full version here" link to get a longer version of the interview. Also that version has a link to an online article of mine. I think the book (especially chapter 7) does aim to address the concerns you raise. Thanks again for raising them as they are certainly important. Hey Nik. How exactly do you connect the idea that Jesus' 'divisive' judgments (where some are saved and others are not) in the NT are what you call judgments 'in history' (relating them to judgments in Jeremiah) with the idea that, as such, they can be read in a Moltmannian direction as 'judgments unto salvation' (non-divisive judgments?). This is just a matter of me not following the connection. Is the idea that a judgment IN history is qualitatively different from a judgment at the END of history? (i.e., that Jesus' divisive judgments are not final or eschatological judgments?). Good question. First some clarifications. So this is a judgment “in” history. Yet it marks the apocalyptic transition between the ages. Hence the earth-shattering language. NT Wright's work (especially chap 10 of New Testament and the People of God) is extremely helpful here. As a judgment in history, I also see this as a judgment unto salvation as it serves the (re-)opening up of history. My interpretation of the book of Revelation (cf. appendix to Annihilation of Hell) argues that this is how John's sees things too and has structured his apocalypse accordingly. So what does the judgment that Jesus sees coming, the one that involves the fall of the temple have to tell us about the "final" (God becoming "all in all") judgment? Many, in effect, transfer the separation that takes place re: AD 66-70 (in Jesus' language the separation between the sheep and the goats, etc) to the "final" judgment. (I say "in effect" because they don't actually distinguish the "apocalyptic" judgment from the "final" judgment at all, seeing Jesus' words as exclusively or at least partially-yet-directly related to the end of history.) In my view, what the apocalyptic judgment of AD 70 tells us about the final judgment - and in my view it actually is the inauguration of that "final" judgment; just as the "final" judgment is the fulfilment of the apocalyptic judgment - is that idolatry, holy war, sin, evil have zero future in God's world and cannot enter the new age, the age to come [which has already begun]. They can only belong to the age that is passing away, the age that has been judged. That does not mean that we have to see a separation (between sheep and goats, etc) as carrying over to the "final" judgment. We actually don't find separation language in 1 Cor 15. And if God's judgments in history have an "unto salvation" or "in the service of life" character, we can hope for that in the justice/judgment that accompanies God finally becoming all in all. This perspective allows the various NT texts that refer to salvation without limiting that salvation to some and not others (there are many of these in Paul) to finally speak to our hope. In the words of Rom 11:32: "God has bound all over to disobedience [and its consequences] so that he may have mercy on all". Thanks for that detailed and helpful response. This is an issue I've often struggled with, and I really appreciate the way you don't simply dismiss those texts that on their face seem to challenge the universalist hope for cosmic redemption. May I put it this way: Scripture tells us that there are death dealing ways that will be excluded from having a place in the Kingdom where God is all in all; and it also tells us that everyone who is now bound to those ways (i.e., all of us) will be delivered from them. This is mystery, but a hopeful mystery that helpfully orients us in the here and now. This hope also fits with the Pauline understanding of evil as nothing in and of itself. God will be all in all as evil finally and inevitably vanishes into the nothingness it 'is'. Hi Ron,I think there are a number of ways of approaching this, but the way you put it strikes me as a good way. I like the language of hopeful mystery orienting us. There are some aspects of the mystery at least which I think we can understand a bit more re: how we will find deliverance (I have some suggestions in the book). As for evil as nothing in and of itself, I'm not sure how Pauline that is. The "privatio boni" tradition strikes me as starting later (in Christian thinking, at least), for all its appeal to Paul. That said, it has real strengths. But I hesitate to embrace it without reservation. Part of that tradition (as I understand it) tends to suggest that evil is not really real -or really evil- in the larger scheme of things. Somehow we need to find a way to say that evil is utterly real, and yet has no (eschatological) staying power. Evil's "in itself" posture cuts it off from God and from life in the true (Deut 32) sense of life. Perhaps early Christian thinkers adopted the privatio tradition in order to say precisely that. I don't want to say evil "is" nothingness though, even though I do want to say that it will be. Moltmann would say that evil is nothingness-oriented in the sense of annihilating. That's why my title - The Annihilation of Hell - plays on the "of" being both subjective genitive and objective genitive. So evil is more "annihilatio boni" than "privatio boni". But that annihilating power is itself countered. The reason it can't last does not (just) lie in the nature of evil (as maybe the privatio tradition tends to suggest?) but lies in the reality of redemption/liberation. Plenty to ponder. Thanks! Again, that's very helpful. I'm attracted to the 'privatio boni' tradition insofar as it recognizes that evil must usurp its power in order to be effective. I see Arendt's "banality of evil" analysis of Eichmann and Nazism to be in line with this tradition, and I think her analysis is very powerful and explanatory. Evil only has as much power as people give up to it. But I agree that, while evil is effective, it is all too real. That said, because its path is one of death and destruction, and because it usurps its power, it inevitably drags everything it can into its own eventual annihilation, no?. But perhaps that's too in line with the "privatio boni" tradition for you? If so, how do we avoid a gnosticism that sees evil as its own competing principle, one that as you say is "countered" by the reality of redemption/liberation? At any rate, Arendt did not think all evil was banal, and that there was such a thing as what Kant called 'radical evil'. Obviously I need to think about this a lot more. Yes, I hear you. The strengths and the weaknesses of the privatio tradition/paradigm is a great discussion topic. So I hope others (including some historians) will weigh in. I do think evil attempts to drag creation into annihilation. 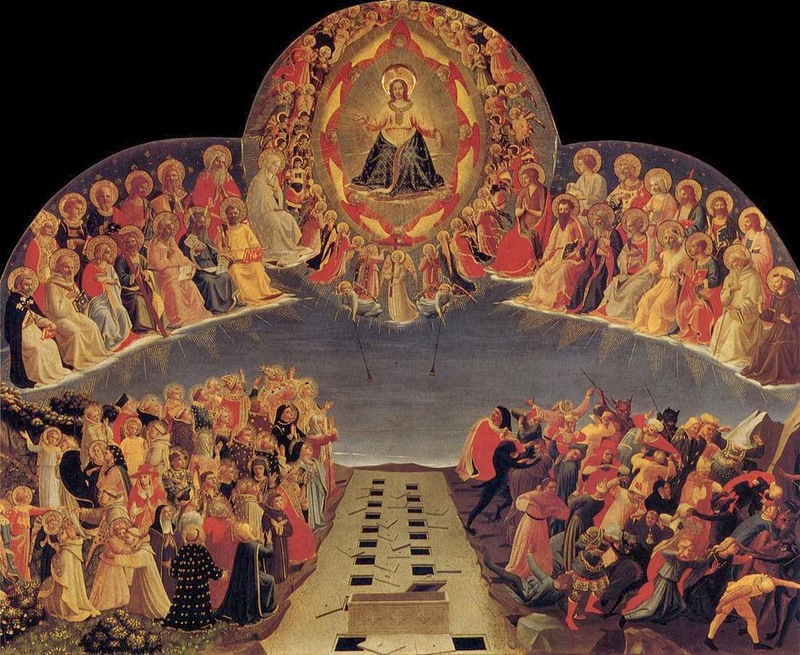 Some have posited an annihilative view of Final Judgment as an alternative to the eternal torment posited in the traditional view. In my thinking though, and I imagine in yours, such annihilation would mean the victory of evil over good. So we need a different view of Final Judgment. On Arendt, and going back to the privatio, I gather she takes this from Augustine to a large extent (though I haven't read her [PhD] dissertation on Augustine). Presumably the privatio is thus very indebted to Augustine's neoplatonism. Investigating those roots would help us discern the strengths and weaknesses of a privation paradigm. It is probably the neoplatonic implications that don't work for me. Okay, I'll try this again. Nik, your description of the annihilating work of evil is exactly what the privatio boni tradition within Augustinian theology is attempting to account for. Good's privation is not there to mark an opening to theodicy by which evil is naturalized via some demonstrative argument. So your objections to the tradition is to later appropriations of the tradition rather than to its founding voices (Augustine in particular). Privatio boni should when properly understood heighten the scandal of evil and its annihilating ways in the world, rather than put us at our ease. Privatio you see has the sense not only of a privation, the lack of something that by rights ought to be there but of depravity, of the malignancy of the lack as if it were a deformed mouth that leers and supperates and revolts us who must find a way to live under the effect of such despite. What is indisputable is that Augustine appropriates the privatio boni tradition from Plotinus, or better the libri Platonicorum that freed him at last from the vestiges of his dalliance with Faustus and his loquacious band of Latin Manichaeans. But his appropriation is not orthodox Plotinianism; it could not be, for Plotinus is happy enough to naturalize evil in this sense: that it owes its presence in his view to matter the eternal bearer of non-being in the world of beings-that-yet-tend-toward-non-being. For Augustine matter is a creature and hence good. Evil is then far more mysterious and problematic for him than for his Platonic source. Its annihilating effects far more of a stumbling block, perhaps even Ansellianly so. Hope this helps. Thank you for posting that responce Bob! I've been following this conversation and it has helped me alot. I have heard others speak agains evil as privation on the grounds that it suggests a sort of Platonic view of evil (that evil is only ignorance and that a kind of education can banish it). I don't actually think that is a fair reading of Plato either, but I understand the need to recognize evil as an active malignancy which is deeply intolerable for creation. Yet evil as privation simply works so well with everything we know of evil (it's unoriginality, it's lack of a place in creation, and the fact that it is ultimately signified by death) that I could not make sense of it without the concept of privation. Perhaps all I needed was a more Augustinian view of evil. This is a fantastic interview Nik! I really appreciate your insights on this topic (they have helped me a lot). Anyway, a lot of people get cought up on the mechanics of universalism (ie. are people then saved from a kind of hell or purgatory after they die, ect? ), does the bible suggest anything in this direction, or (like theodicies) is this only a temptation, and it is enough to know that God promises our salvation?